Find out how our Regional Specialists can help you resolve matters affecting your business in Latin America and The Caribbean. Specialists in International Law on Latin America and the Caribbean (SILLAC) is the first international law firm to design and offer online chemical management training for individuals and companies. 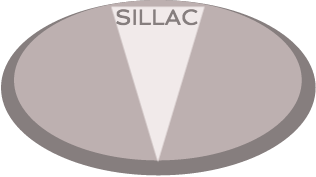 The purpose of the SILLAC training is to teach Regional Regulatory Chemical Management Compliance to environmental and labor law attorneys, regulatory analysts, chemists, toxicologists, CEOs, and executives working in, but not limited to the following industries: chemicals, food, cosmetics, healthcare, automotive, industrial equipment, oil & gas, petrochemical, plastics, energy, pharmaceutical, and consumer goods. Our team of foreign international attorneys specialized in Latin America and The Caribbean can ease the setup transition into LAC of your business or industry. Let us show you how the LAC market welcomes your products and can make your investment a worthwhile and highly lucrative experience. SILLAC undertakes projects under organizations such as the Inter-American Development Bank (IDB), the International Labor Organization (ILO) and the World Trade Organization (WTO) of international business law impacting Latin American and Caribbean (LAC) countries. SILLAC works on trade issues, such as unfair trade practices impacting multilateral and regional trade agreements. SILLAC specialists can recommend the best ways in which to protect your direct and indirect foreign investments in the LAC region, such as being able to identify and defend against unlawful takings (expropriations). SILLAC specializes in defending the industrial and business communities against industrial Civil and Criminal liability (applying Amparo legislation) in cases of non-compliance with the chemical and environmental regulatory framework in LAC. Additionally, SILLAC can take on chemical product registration dossiers in Mexico, Latin America and The Caribbean. Our specialists can draw-up the best contracts protecting your interests in the areas of: International Banking; Gas and Oil operations (including service stations projects) and international bidding processes; Mining (setup of mineral and metallurgy plants); Turnkey Projects (industrial plants and tourism projects). SILLAC is delighted to litigate the enforcement of arbitral awards in LAC. This means that if your company has won one or more foreign arbitral awards, we can assist in having them enforced in Mexico or in most of LAC. If your business contract contains an arbitration clause under the different jurisdictions in LAC, we can help in the arbitration process in any LAC country. Feel free to explore our website and find out how our Regional Specialists can help you resolve matters affecting your business in Latin America and The Caribbean. Our legal experts can provide the specific expertise you need to comply with the Regulatory and Legal frameworks of Mexico and nations throughout Central America, South America, and The Caribbean. We update our newsletter quarterly and blogs on a bi-monthly basis. We also conduct yearly training and webinars. You are now signed up to receive updates for SILLAC Blog!